Please disable AdBlock or whitelist EarnForex.com. Thank you! Explaining the basics of Forex trading. Giving you free e-books and articles that help to learn more about trading. Providing online calculators, downloadable indicators, and free expert advisors. Maintaining an honest broker rating system based on traders' reviews. Using sophisticated algorithms to detect suspicious reviews. Offering access to a community of traders where one can share experience and learn from others. Uploading daily technical analysis videos, weekly chart analysis posts, and regular fundamental analysis updates. Informing you on the latest Forex and commodities market news. We do not remove reviews on brokers' requests unless they present a doubtless evidence of a review being fake. We disable rating for the brokers that promise bonuses for reviews. We listen to our visitors and implement their suggestions. For example, a half of features in our Position Size Calculator have been proposed by the users. We do not sell miraculous products that promise to make you rich with Forex. Not a broker. We do not accept funds from traders. Not a money management company. We will not trade on your behalf. Not a trading software workshop. We will not develop a trading tool on your request. Not a get-rich-quick scheme. We do not sell anything. 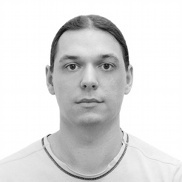 Andriy holds MS degree in computer science. A currency trader since 2005 and a developer of the automated trading systems since 2006. His area of professional interests includes macroeconomics, inter-market relationship, political economy and central banking. 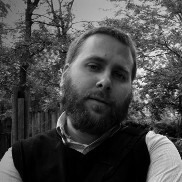 Andriy manages content, supervises public relations and develops new products at EarnForex.com. 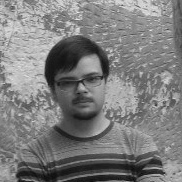 Vladimir is an online journalist with background in computer science and work experience in pension funds. He contributes news reports, fundamental analysis and sentiment forecasts to EarnForex.com. His main specialization is the fundamental situation in EUR/USD, the currencies of emerging economies and inter-market correlations with commodity and bond trading. 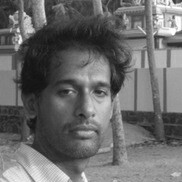 Prabhu is a content manager and software developer with BE degree in computer science. After working as programmer and analysis developer in major IT and finance companies since 2006, he turned to data engineering at EarnForex.com. Prabhu is responsible for keeping the website's numbers accurate and up-to-date: interest rates, credit ratings, macroeconomic statistics and historical currency rates. Natalie is your first point of contact in EarnForex forum environment. Having an IT background with degrees in philology and management helps with articles localization and resolving moderation inquiries. 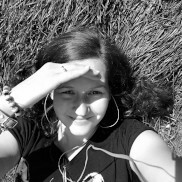 Natalie is your lovely point of contact for everything moderator related. Andrew Moran is a professional writer and journalist of 12 years. He primarily writes about economics, finance and politics and is the author of "The War on Cash." Andrew is married to his wife, Jennifer, and has two wonderful cats, Max and Batman. You can find him at AndrewMoran.net. 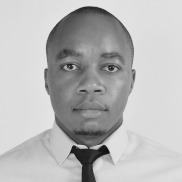 Simon Mugo is a Forex analyst and writer based in East Africa. He has expertise in currency markets, shares, indices and CFDs, and specializes in both technical and fundamental analysis. He has a degree in Mathematics and Computer Science from Jomo Kenyatta University of Agriculture and Technology located in Nairobi, and has been a writer for the past four years. You can use the online contact form to get in touch with EarnForex.com team. Advertisements: — Get FREE Trading Signals, Based on Advanced Technical Analysis, 87% Success! !